Did TSA ignore the Court's Ruling? Even though the Court instructed TSA to proceed "promptly", nearly two years passed before before TSA issued the required Notice of Proposed Rulemaking in March 2013. TSA told the court that passengers could opt out of the body scanners, but then in 2015 changed its mind and claimed it had the authority to require passenger screening with these machines, even if a passenger wanted to “opt out”. (d) The screening and inspection described in paragraph (a) of this section may include the use of advanced imaging technology. 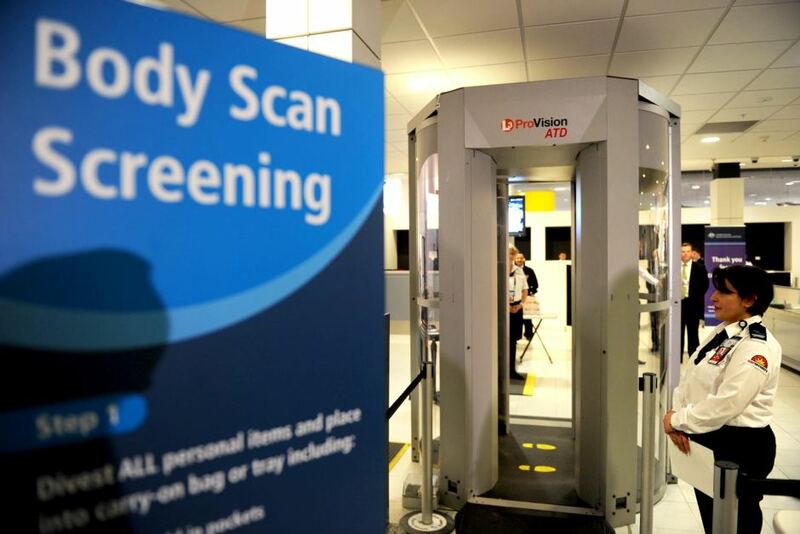 Advanced imaging technology used for the screening of passengers under this section must be equipped with and employ automatic target recognition software and any other requirement TSA deems necessary to address privacy considerations. The court’s decision focused on the use of AIT scanners for primary screening, but TSA’s final rule (above) makes no mention of this. Moreover, the new rule gives no indication that passengers could face mandatory AIT screening, without the opportunity to opt out, on their next trip to the airport. This begs the question: If Congress did not specifically require TSA to deploy AIT scanners, let alone use them for primary screening, does TSA have the authority to direct mandatory AIT screening for some (or all) passengers based upon “security considerations”? What are the “security considerations” to which TSA refers? AIT scanners are not present at all airports; what is to be done when “security considerations” call for mandatory AIT screening, but AIT is not available? The regulation and final rule do not appear to address any of these issues, and we believe these issues are important. That's why we have brought this action. We will be asking the Court to instruct TSA to go "back to the drawing board", comply with the Court's original decision, and to properly address these and other issues. Litigation is expensive. Please help us with your donation today.